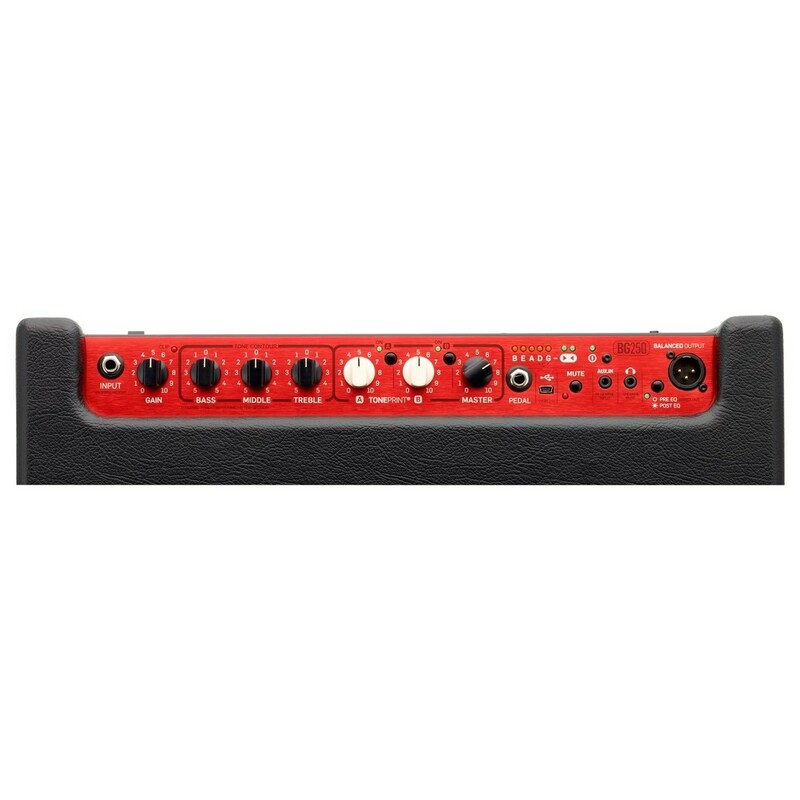 The BG250 Bass Combo Amp has an authoritative tone with supreme clarity. The TC Electronic BG250-208 will give you a nice, scooped sound with a ultra-fast response, without ever losing that deep low-end punch. 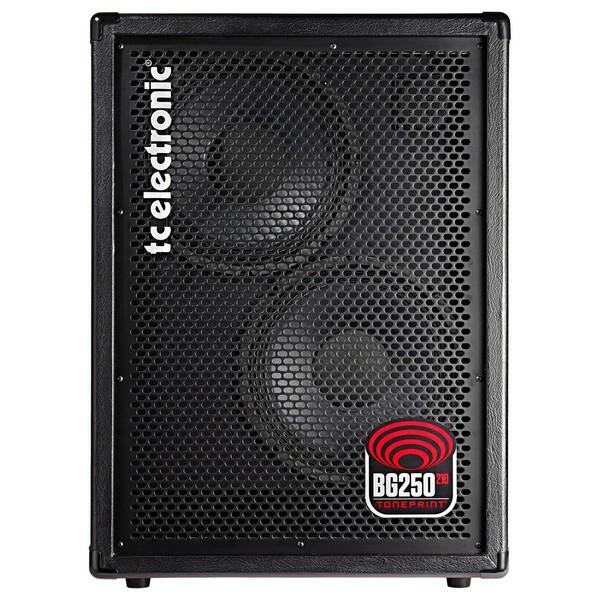 TC Electronic have pushed things forward with the BG250-210, it's light yet ultra-powerful, featuring impressive tone-shaping tools and an onboard tuner for 4, 5 or 6 string basses. 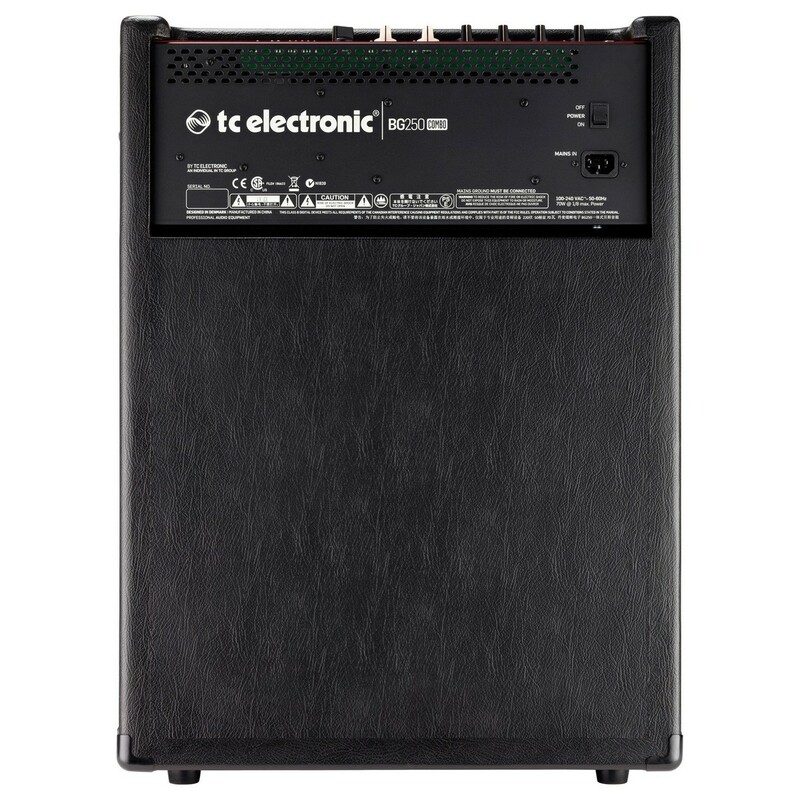 Easy on the eye, the TC Electronic BG250 2x10 shares the same basic tone as the rest of the BG250 series, yet with subtle differences that make it stand out. Bass TonePrint is supported, a unique feature that lets you load signature effects into a TonePrint slot. But there isn't just one, the BG250-210 contains two slots you can switch between. TonePrints is an ever-expanding roster of some of the biggest names in bass. Signature effects come from Nathan East, Mark King, Duff McKagan, Richard Bona and more. There's guaranteed to be a sound that inspires you to perform and create. They're available for free and can be transferred directly to your amp via the TC Electronic smartphone app or from your computer. Tune your sound, create your tone and take your Bass TonePrint wherever you need it to take you. The BG250-210 Combo Amp is versatile and performs great regardless of genre thanks to its smart controls, making sure you cut and boost in areas designed for bass. What's more, if you need to fill bigger spaces with great sub low end, connecting another cabinet is not a problem. Fine-tune your bass with the built in tuner for 4, 5, and 6 string basses. The 2x10" configuration is a mix of all that makes bass tone great, designed with pro bassists to inspire bassists. Dimensions: 18" x 14.7" x 24.4"
TonePrints are made by some of the world's best bass players including Nathan East, Mark King, Duff McKagan, Richard Bona and more.